Recently, I was talking with an old childhood friend of mine from back home in Kansas, a woman I grew up with and went to school with starting when we were in kindergarten. She works at the local Farm Service Agency in the town where I grew up in Tribune. I’d called there since I still have some farming interests back home and we got to talking about our lives. I was asking her about her health since she had told me this past August that she’d been having some issues. At one point she said, “I see on Facebook you might be coming out with a book some day.” I told her it was something I was thinking of but wasn’t sure, still not knowing where Ramblings was taking me. I remember her distinctly saying, “If it inspires ONE person, then it would be successful.” I think that nails it on the head. While I understood that what she said wasn’t meant to diminish my feelings and I respected her opinion, I remember my reaction internally. And though I did my best not to show it to her, it made me feel I was unworthy. More importantly, those words laid a small seed of doubt in my heart and mind. Later, I dismissed those feelings. Here’s why. If everyone who ever had an inspiration that came to mind, something they felt very passionate about, something that others told them couldn’t be done, and then didn’t follow through with it because someone told them so, where would our world be? 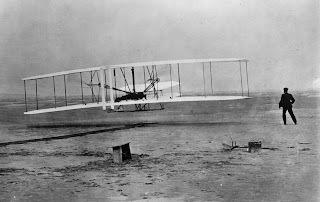 Did the Wright brothers give up on flying just because people scoffed at the idea of man actually flying? An extreme example, yes. But really, stop and think about it. Much of what I write about is heart and spirit. About not giving up and not giving in. Staying positive in the face of defeat. Here’s another example and this one may be even more extreme, comparatively speaking, to my situation. Was Jesus accepted at first? Didn’t everyone question him? I mean come on, who could believe all that he came up with? Of course, we know what happened with his life, don’t we? Please don’t misunderstand; I’m neither comparing myself to the Wright brothers and certainly not to Jesus. The point I’m trying to make is that ANY OF US are capable of truly great and inspiring things. The reason why we don’t or, more importantly, choose NOT TO, is because of what others tell us we CAN’T do, and also what our minds tell us we CAN’T do. Those of you who read this and who know me, also know my story, especially over the past few years. I came close to death, not once, but twice. Worse, it came because of choices I made, not ones others made for me. But, for whatever reason, God spared me. Once that fog lifted and I could see clearly, I haven’t taken a look back since. No one can tell me I can’t do something because I’ve proven, with God’s help, that I CAN. And the same thing goes for anyone else! Just because someone says, “Ah, don’t kid yourself. You can’t do that. Someone else has already done it, anyway.” That’s hogwash. So, I’m plowing forward and moving ahead. My advice to anyone else with something they are passionate about, especially something that is socially redeemable or inspiring to others, is to do the same. Like my friend said, “If you inspire ONE person, it will be worth it.” Isn’t ONE person enough? You have to start somewhere, right? After all, we were all born of the same cloth so to speak. NONE of us were born famous. The only reason why we do great things with our lives is because we don’t accept defeat. We never say NEVER. 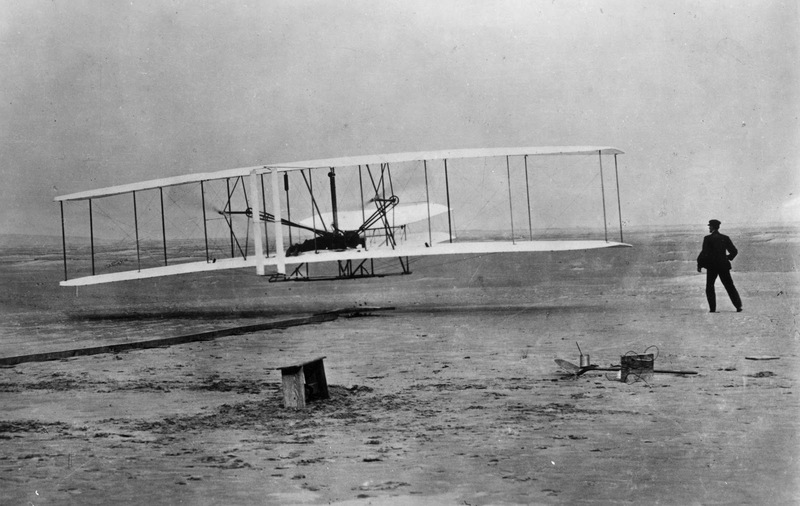 The Wright brothers didn’t, why should you?